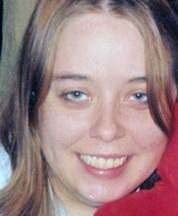 Jennifer Boose, 28, of Cedar Falls, died at her home on Friday, September 14, 2012. She was born November 15, 1983 in Iowa City, daughter of Joseph and Denise Stuber Boose. She graduated from Expo High School in 2001. Jennifer is survived by her son Jordan Wade Boose of Waterloo, daughter Laniah Hazel Boose of Waterloo, father Joseph (Pamela) Boose Sr. of Waterloo, mother Denise Boose of Waterloo, brother William J. (Trisha) Kelley of Traer, brother Joseph W. Boose Jr. of Waterloo, brother Justin J. (Rachael) Boose of Waterloo, brother Byron A. Boose of Waterloo, and companion John D. Heiar of Cedar Falls. She is preceded in death by her grandmother Mary Haxel Boose.